Jailbreak iOS 9.1 on iPhone 6s, iPhone 6, iPad Air 2, iPad Pro, iPad mini 4, iPod touch 5 and more using newly updated Pangu 9 1.3 tool on Windows, Pangu 9 1.1 on Mac. 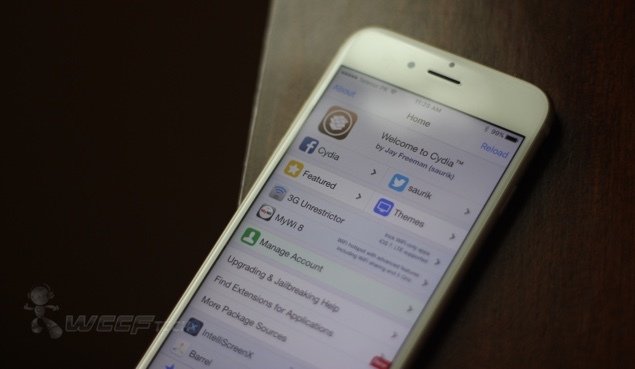 We have been waiting for a Pangu iOS 9.1 jailbreak for a long, long time, and guess what? The new and updated tool dropped just a few minutes back, and it supports jailbreaking iOS 9.1 on all devices, including 64-bit ones. And yes, if you focus hard on the words used in the previous sentence, 32-bit devices are not supported for the time being, and there’s a high chance that all of that could change in the days to come. Like the previous Pangu 9 tools released for Windows and Mac, the newly updated tools work in the same manner as well, and it’s a simple case of plugging your iPhone, iPad, iPod touch to your PC or Mac and then going ahead with the iOS 9.1 jailbreak. Also keep in mind that if you have a fresh installation of iOS 9.1 running on your iOS device, restored using iTunes, only then go ahead with Pangu 9 otherwise the entire process will simply fail. And no, you cannot downgrade from iOS 9.2.x to iOS 9.1 at this current point in time since Apple is not signing the firmware version. You can download Pangu 9 v1.3 for Windows by clicking on this link. Pangu 9 v1.1 for Mac, on the other hand, can be grabbed from this link. If you’re looking for tutorials, simply click here on how to jailbreak iOS 9.1 on Windows, and here for Mac. The steps are exactly the same, but be sure to download the latest Pangu 9 tools for Windows and Mac before going ahead. Also keep in mind that the exploit being used to jailbreak iOS 9.1 has been patched in iOS 9.2, so don’t expect Pangu 9 to come up with a jailbreak tool with support for iOS 9.2 and above just yet. But given the fact that progress has been made in the background, we have our fingers crossed for good news in the days and weeks to come. Meanwhile, you can go ahead and jailbreak iOS 9.1!